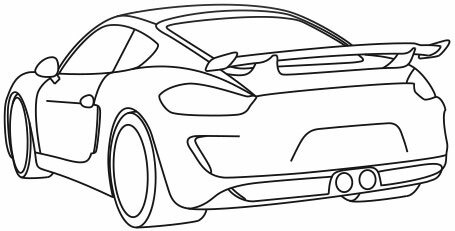 A 996 Cup Car wing and decklid assembly for converting street 996s for track use includes wing, base, and aluminum uprights. 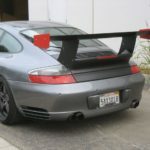 Specify engine type – Carrera or GT3. 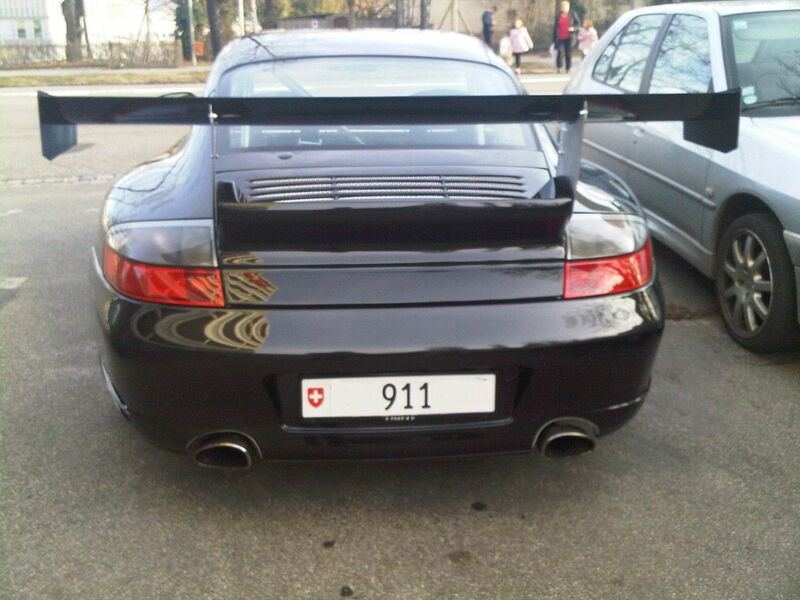 A special 996 Cup Car style decklid for converting street cars to track use. Liner retains fan and latch. 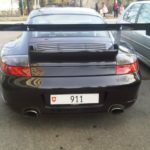 Specify engine type – Carrera or GT3. 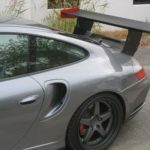 996 55″ Cup Top Wing. This is a lightweight special construction top wing. Includes wing endplates. 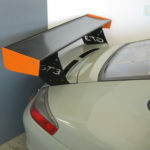 Cup style aluminum wing uprights. Priced per pair. 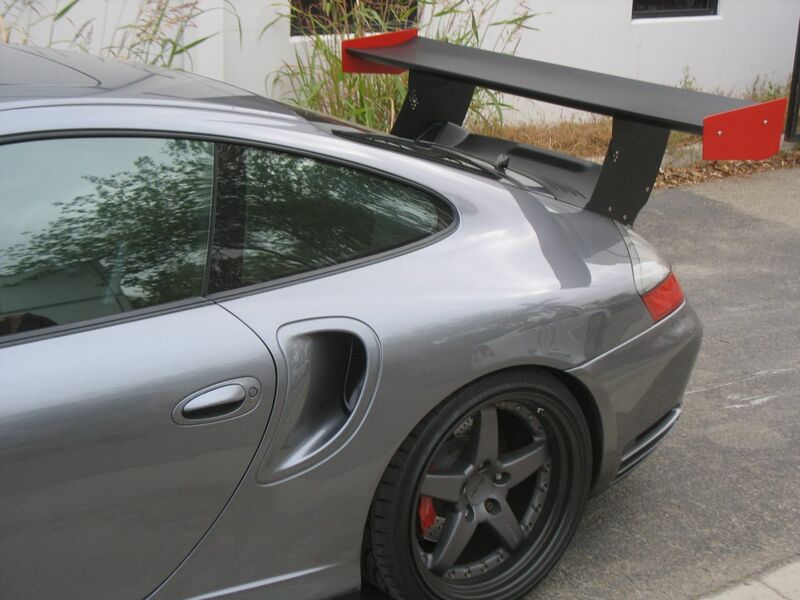 This 996 Cup Car wing and decklid assembly includes a decklid with smooth liner, 55″ top wing and aluminum uprights. 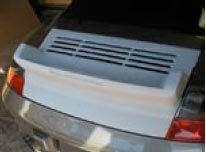 A full race cup decklid with a smooth liner and designed to be secured with pins. 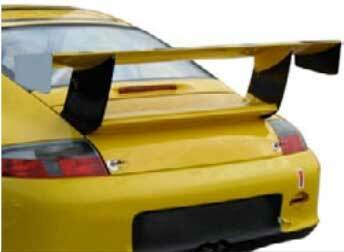 996 55″ Cup top wing. This is a lightweight, special construction top wing. 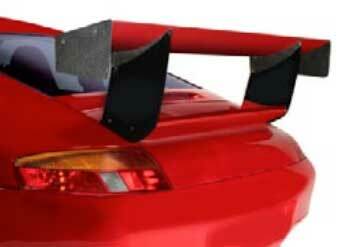 This is the approved wing assembly for the 996 Spec Class. 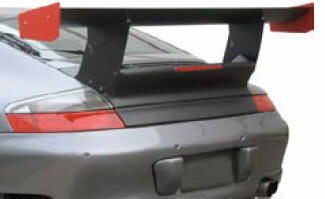 Includes: Fiberglass Cup Decklid, Aluminum Cup Uprights, 55” Fiberglass Cup Wing and Endplates. Street Liner. 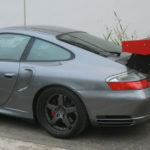 Special 996 Spec Class replacement decklid with Carrera liner. 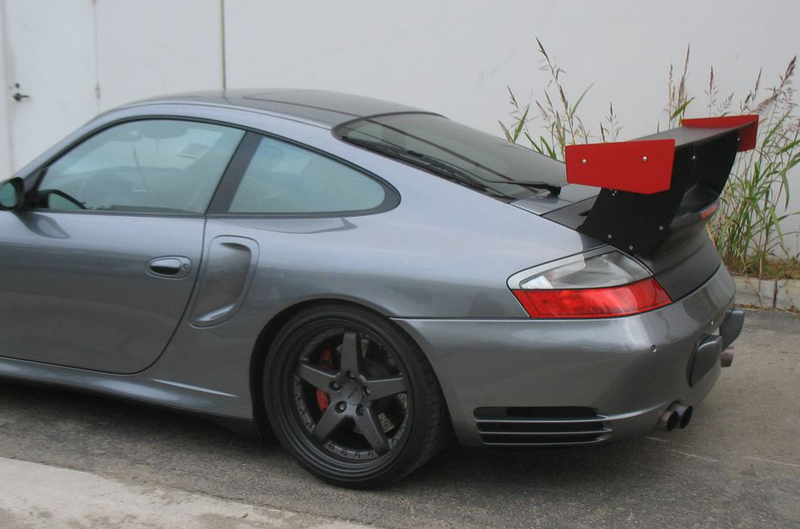 Special construction lightweight top wing for the 996 Spec Class. 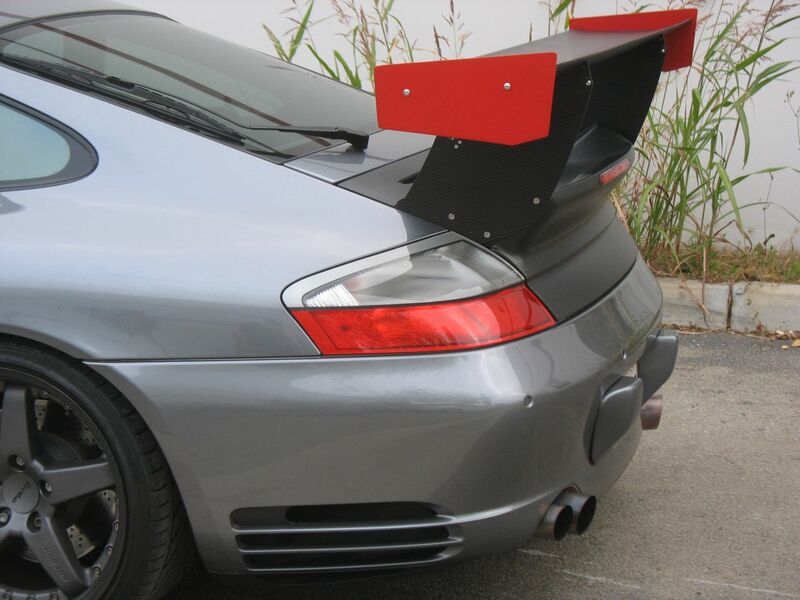 Aluminum wing risers for the 996 spec class wing assembly. Priced per pair. 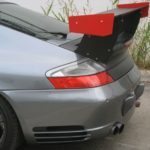 A wing and decklid assembly essential for converting 996 turbos for track use. 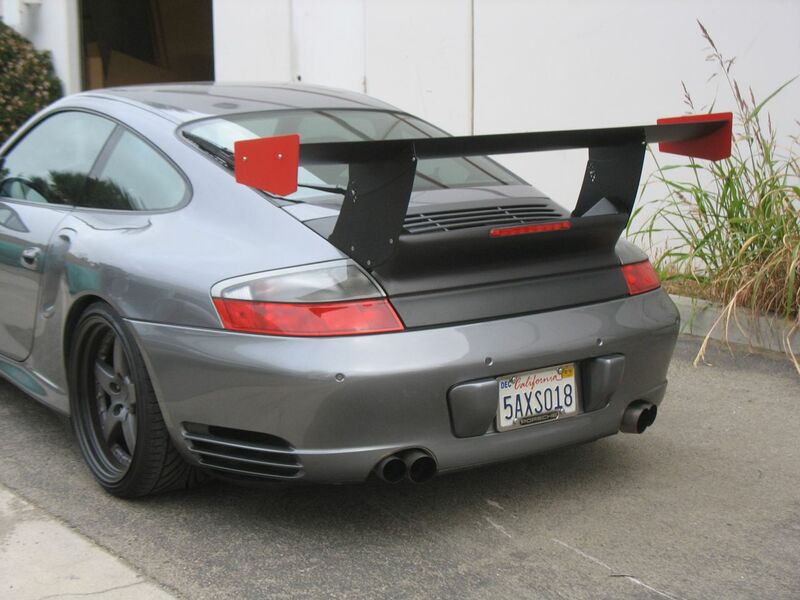 Assembly includes a special GT2 style race decklid, aluminum uprights, and a 63” RS top wing. 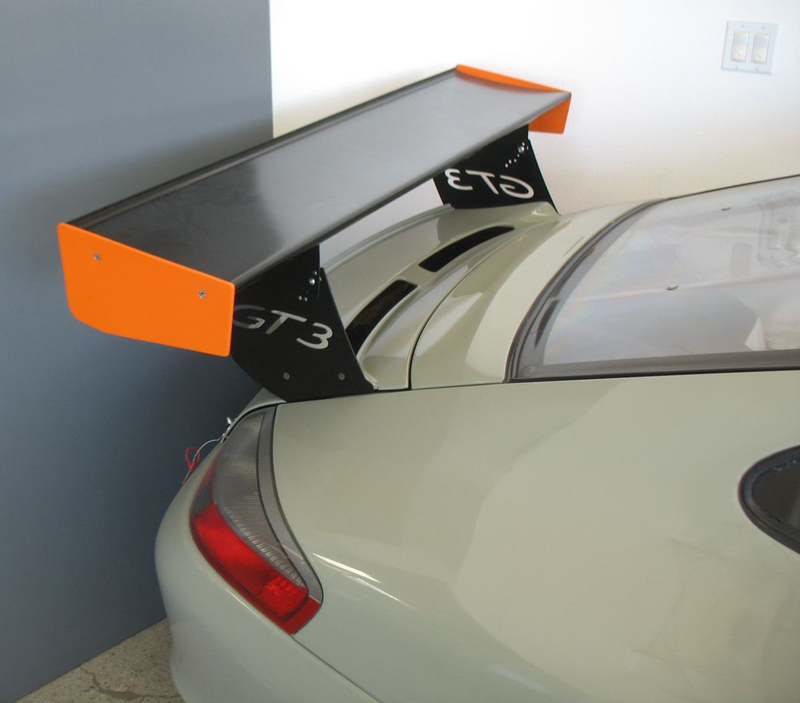 Special GT2 style race decklid includes inner fan support panel. 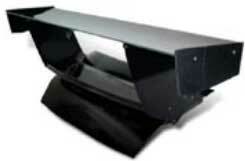 Specify 63” or 55” top wing length. This is a lightweight special construction top wing. Aluminum wing risers for the Turbo race base. Priced per pair. 2000-2004. 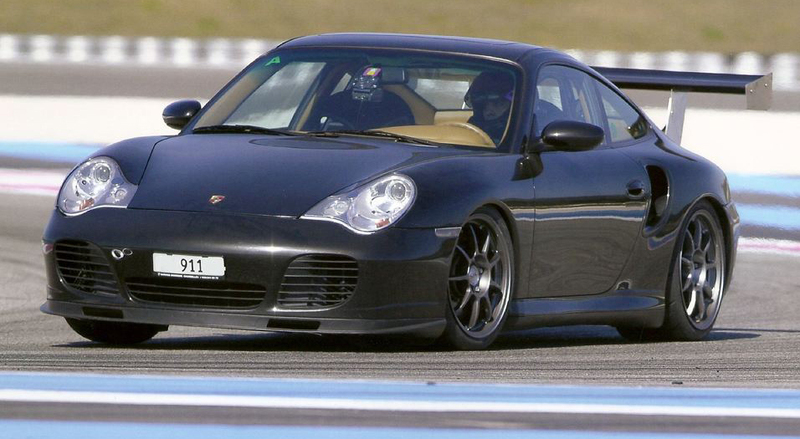 Similar to the Cup version, but with a larger, more aggressive 63″ RS top wing.